Denise Donlon got to chat with Paul and Gene in 1988 on the Crazy Nights tour. She asked them what there is to sing about after 21 albums? In a recent episode of Rock Talk with Mitch Lafon, former Kiss guitarist Ace Frehley said, among many things, that it would take $100,000 per show for him to play on Kiss’ recently announced End of the Road tour. While that amount of money may seem like ransom, Ace might be able to make those kinds of outlandish demands. He may have Kiss over a barrel of sorts. Ace is in a good position right now. 2018 is an interesting time for this Kiss farewell tour to happen, because of what Frehley has been up to. Since acrimoniously splitting with the band in 2001 (after a previous “farewell” tour), Ace has rebuilt his credibility and his standing. Over the last decade he’s regained the respect of fans who feared he could no longer write, with a series of increasingly good solo albums. Anomaly, Space Invader, and the recent Spaceman have been well received by fans and critics alike. Most importantly, since 2016, some crazy things have happened. 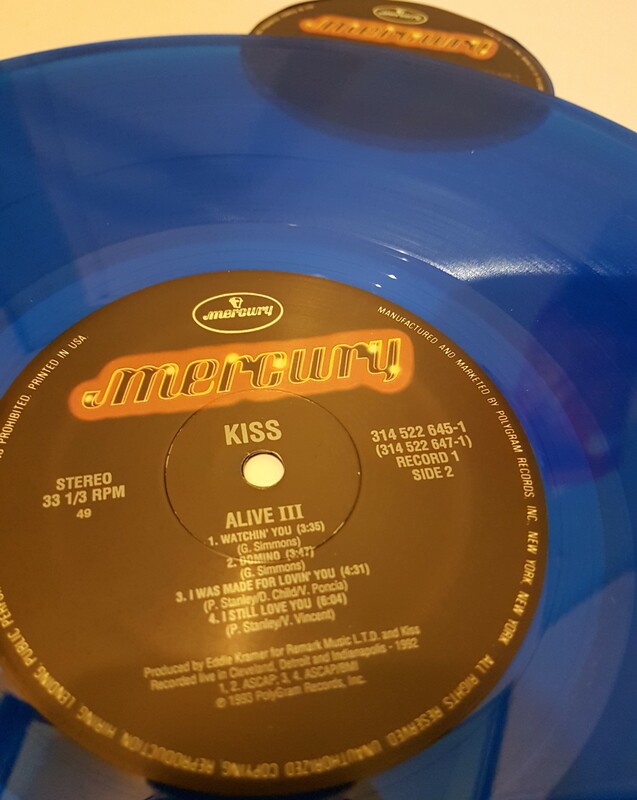 First Ace reunited with Paul Stanley on Origins, Vol. 1, a covers album. Then Ace re-ignited his friendship with Gene Simmons, as Gene promoted his Vault box set. 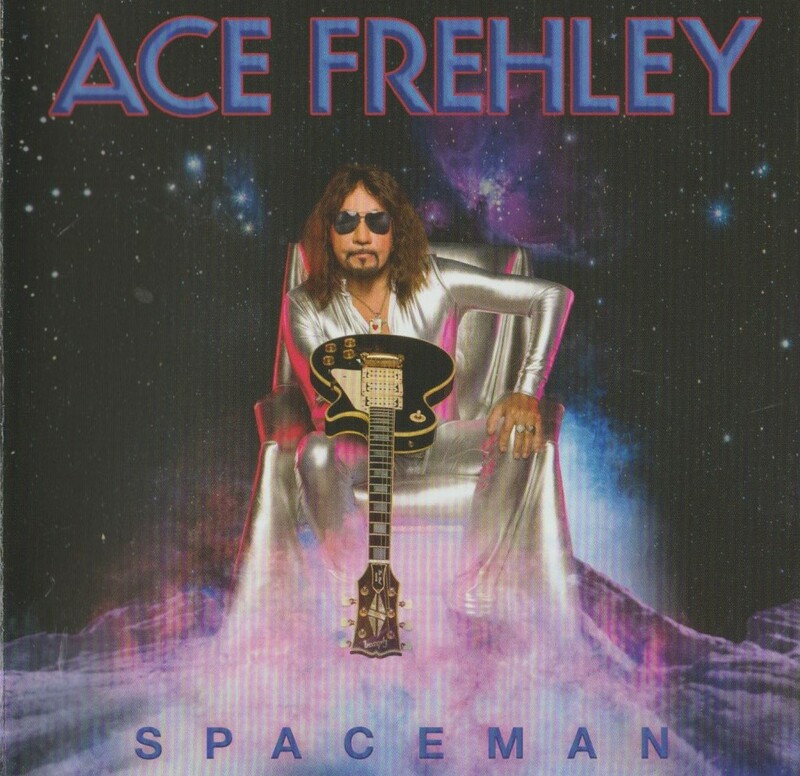 Gene appeared on Spaceman, and now Ace is touring with Gene’s solo band. Ace appears cozier with Kiss than he was when he was actually in Kiss. Throw the farewell tour into the mix. 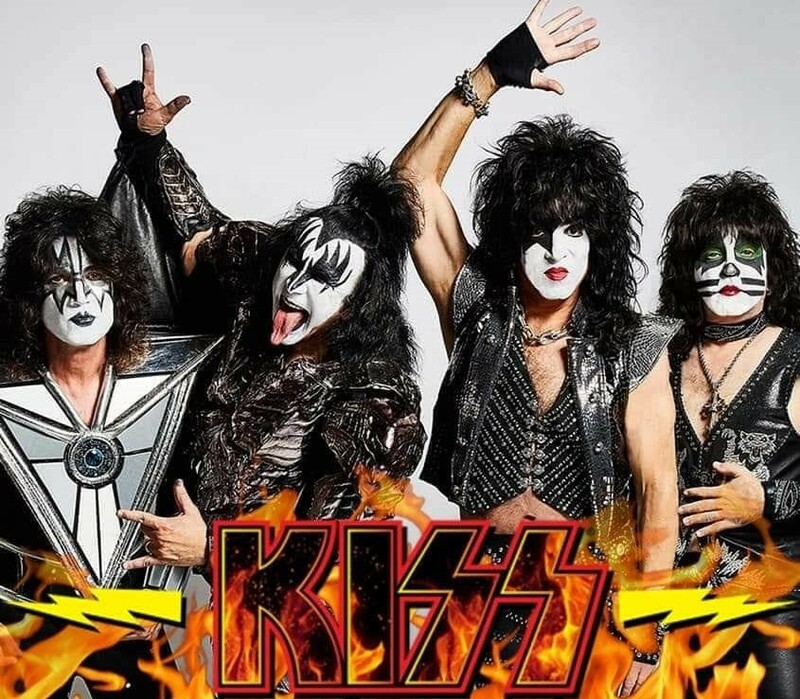 Kiss will be touring with the current lineup of Stanley, Simmons, Eric Singer and Tommy Thayer. Some fans still call Singer and Thayer “scabs”, merely imitating Peter Criss and Ace Frehley. Eric Singer has won over more fans than Tommy Thayer has. Perhaps it’s because Singer has been in the band longer and played on the legendary Revenge. More likely, the fans resent how closely Thayer imitates the licks of Frehley — on the orders of Simmons and Stanley, let’s not forget. At the end of the day, they sign the paychecks, and the employees play the way they want them to. That’s why they are still in the jobs all these years later. Regardless, fans have largely accepted Singer as the drummer in the Cat makeup. Peter Criss has retired with dignity, and realistic fans know that he’s no longer really capable of playing the kind of tour that Kiss are looking at. Peter had his farewell with Kiss and his chapter certainly appears to be closed. 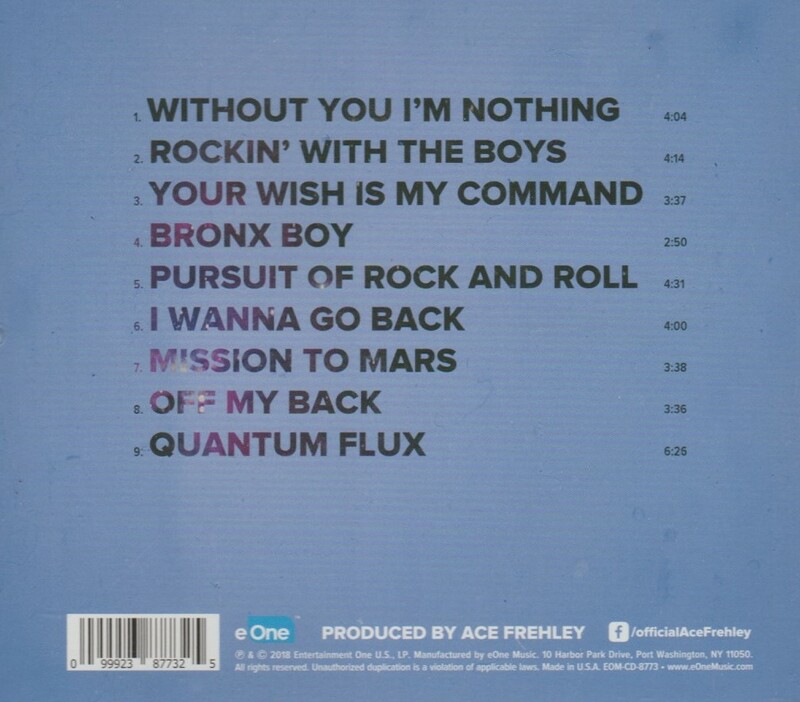 Frehley, however, is on a new leg of his career and the quality of his new material is encouraging. In addition to his ask of $100,000 per show, Ace has also suggested the real way to end Kiss would be one final studio album. It’s almost as if he’s throwing down the gauntlet to Kiss. An Infinity Gauntlet with only four stones: Ace, Paul, Gene and Eric. A studio album might be a bit far fetched. Monster is from 2012, and Kiss seem scared of their own shadows in the studio. But Ace on tour? It simply has to happen before it’s over. Not doing so would be a slap in the face. Fans are going to demand it. Black Sabbath blew it on their The End tour. 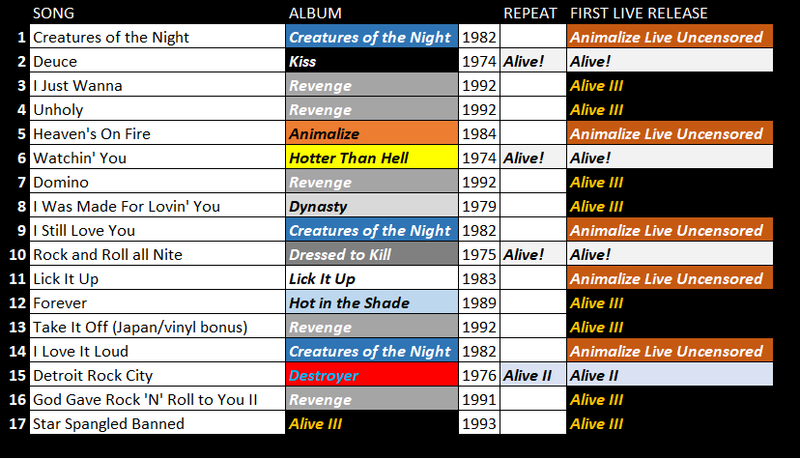 Bill Ward probably couldn’t have done a tour, but to not invite him back, for at least a few songs at the end? A wasted opportunity that can never be repaired. The original Black Sabbath were all still alive. Bill Ward was willing and able. The Sabbath camp didn’t want to hear it, and so finished with 3/4 of the original band plus Ozzy’s drummer Tommy Clufetos. It’s sad to say, but the next reunion of the original Black Sabbath might have to be at one of their funerals. Deep Purple can never reunite their original or even their Mk II lineup. Led Zeppelin will never be whole again. Neither will Queen, Styx, Stone Temple Pilots or Soundgarden. 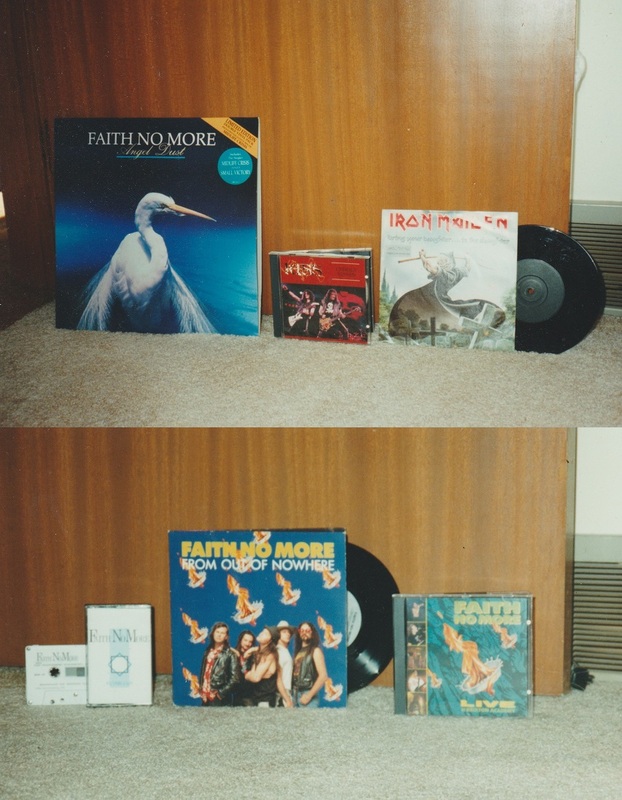 Sabbath had the chance, and they let it go. Truly a regrettable, ego-driven mistake. Kiss cannot make the same mistake. True, without Peter Criss, it’s not the originals, but Criss has not expressed interest or ability. Ace has. Repeatedly. And we know the clean and sober Ace today can do it. He is on another creative high, and already getting along with Paul and especially Gene. To lose this opportunity in the face of the fans would be a mistake some would be unwilling to forgive. Start the tour, as normal, with Tommy. Bring Ace out for a couple guest appearances. See how it goes. I’ll tell you how it will go. Ace would sing “Shock Me”, the crowd would go bananas, and you’d be forced to do it again. And again. And again. Eventually, Tommy could bow out gracefully having had his farewell. Ace could take over from that point. Or do half a show each. There are many permutations for this to work. This is almost exactly how Duff McKagan returned to Guns N’ Roses. You’re Kiss; you can figure it out. Don’t let money stand in your way, Kiss. Money is not forever. History is. You do not want to go down like Black Sabbath, when you could go out the way fans want to see you. Nobody knows how much time they have left on Earth. The next reunion cannot be a funeral. We also don’t really know how many shows Paul’s voice has left before it’s gone for good. A reunion with Ace Frehley must happen before it is too late. What if Kiss just flat out refuse to pay Ace’s greedy ransom, and Ace can’t be negotiated with? It would be a loss for all parties, particularly the fans. 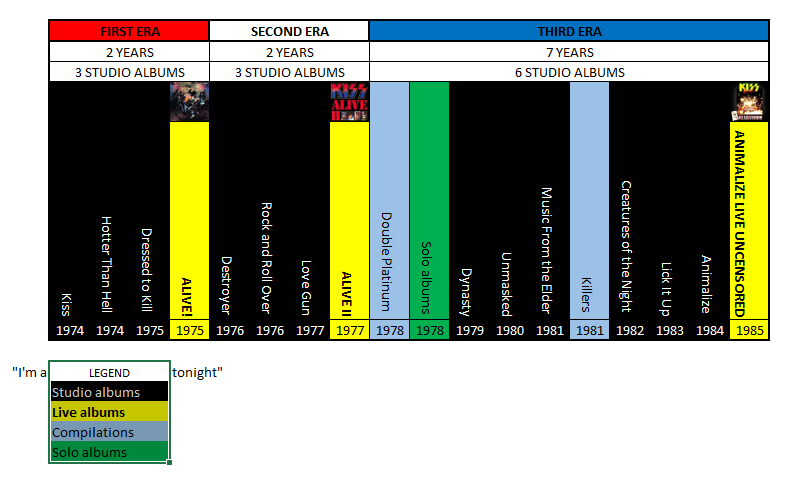 While Kiss will still play spectacular shows, would ticket sales be any different from the last few tours? Kiss have always done well enough (that’s why they keep touring), but the 1996 reunion tour made $144 million gross, which Kiss haven’t equalled since. 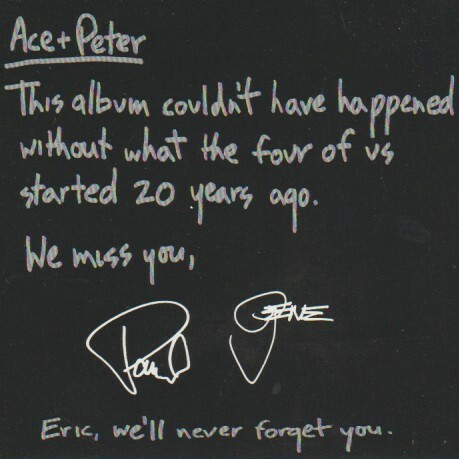 A farewell tour without Ace, and with Paul’s voice in its current condition, simply won’t touch that. With Ace, they would generate a lot more hype, press and positive reviews. Ace Frehley, playing as great as he is today, could inspire yet another generation of kids to pick up the guitar. It’s what Ace does. He is a superstar, and even the most staunch fan must admit that Tommy Thayer is not. If Kiss want to go out as big as they can, they need Frehley. It’s that simple. No dates have been announced yet. Paul Stanley has teased on his social media that the band is rehearsing. They’re talking about doing a 25 song set. There is plenty of time for more pieces to fall into place. A big piece is Spaceman-shaped. They need to make it fit. Without Frehley, The End of the Road tour will just be another Kiss tour. New costumes, sure. That alone won’t sell tickets. Kiss have always been a band that claimed to “listen to the fans” and “gives the fans what they want”. 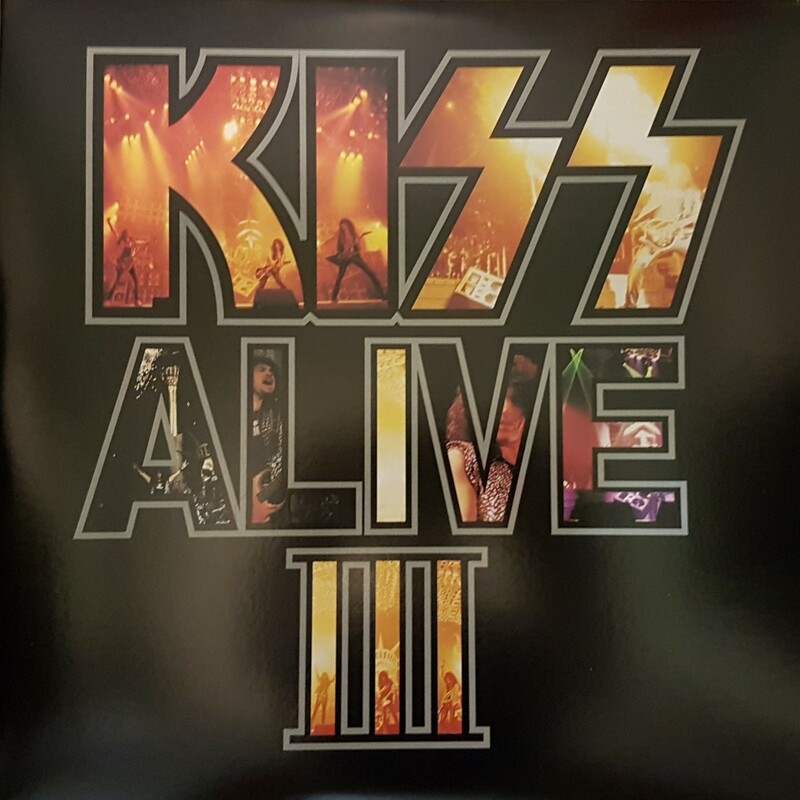 This then would be Kiss’ last chance to live up to it.